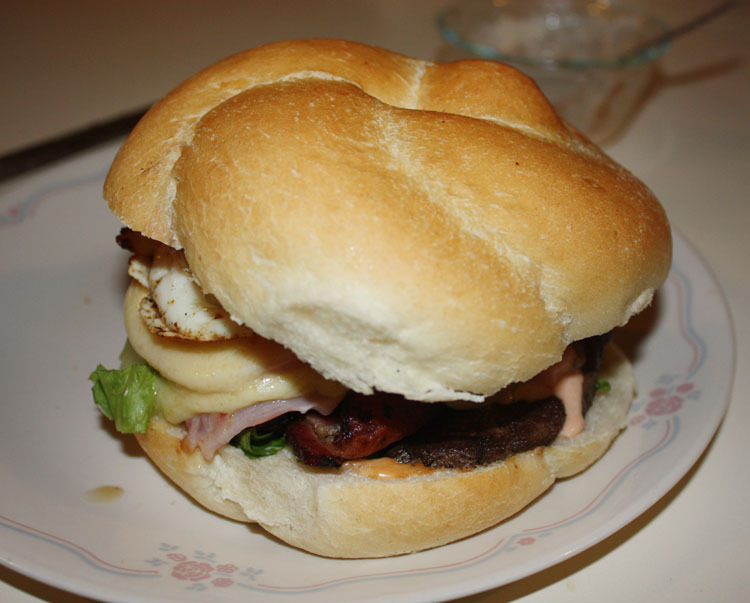 This entry was posted in Hamburgers, Meat dishes and tagged bacon, beef, cooking, food, hamburger, meat. Bookmark the permalink. Please, please, please can you make me one of these sandwiches next time we meet Kevin? Ohhhh that looks so damn good! Glad you liked it! We have chivito, chivito al plato (on a plate, comes with fries, potato carrot & pea salad, two fried eggs ) and sometimes “chivito de la casa” (house chivito) with whatever extravaganza the local chef comes up with. All of them delicious. What you had is a “chivito canadiense”. A plain chivito comes w/o ham & mozzarella. 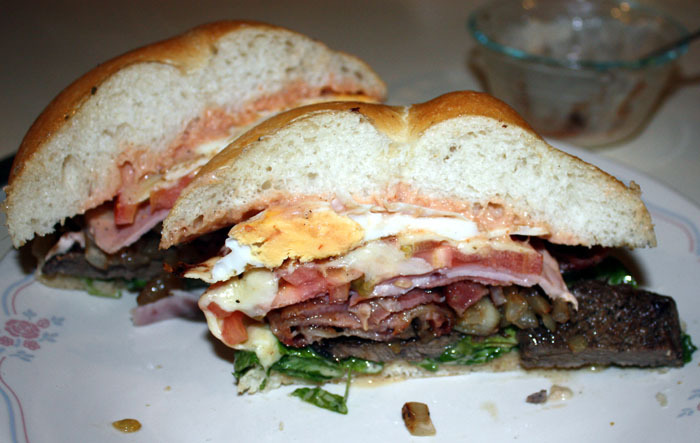 The biggest chivito in the world was cooked last june in the city of Paysandú. It was 9 meters long and it took 20 heads of lettuce, 22 kilograms of meat, 150 eggs, 20kg of tomatoes and several kilos of mayo.